As you know, students took the ELA PSSAs this week. We are so proud of how hard the students worked each day! Their effort is truly commendable. Thank you for taking the time to write notes for your children. They were so encouraged, and their faces lit up each morning reading them. Many students kept all of their notes on their desk the whole week! Next week the students will be taking the Math PSSA’s on Wednesday and Thursday. Just like this week, please be sure your child gets a good night of sleep and eats a healthy breakfast in the morning. Also, please do your best to make sure your child is in school and on time those days. If students are late, they are not able to join the rest of the class once testing begins. Just a few other PSSA reminders: Students should bring a water bottle to school that they can refill. They should also leave any phones, Fitbits, smart watches, or other electronics at home on testing days. We could still use some donations of sugarless gum of any flavor or mints. Your support is greatly appreciated! · Wednesday, June 5th: Last day of school! 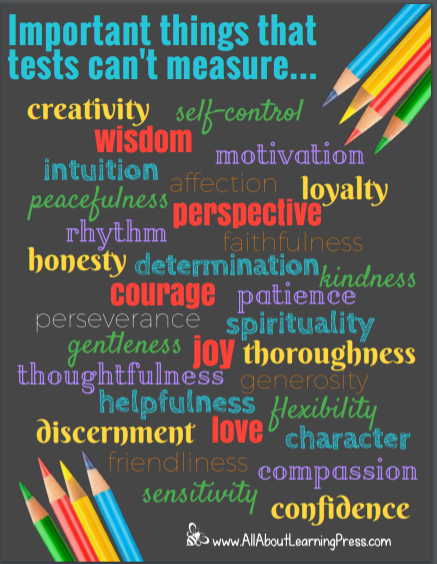 As you know, our PSSA tests begin Monday. We are ready! Please be sure that your child gets a good night’s rest and eats a healthy breakfast in the morning. Please also try to make sure your child is in school on testing days, unless they are sick or there is an emergency. Also, parents are asked to make sure their child arrives to school on time. Students who are tardy will not be able to join the class once testing has begun. If they do miss a test section, they will be able to make it up at a later date. Thank you so much for taking the time to write the PSSA notes for your children. They will be so excited to see their first note on Monday morning! A few other PSSA notes: Students will need a water bottle (with a tight lid) that can be refilled at school. Students are encouraged to leave all phones, Fitbits, and smart watches home on testing days. We could still use some donations of sugarless gum–any flavor…or mints! Thank you for your continued support! To help alleviate the stress of PSSA testing, students will be allowed to have sugarless gum and/or mints during testing. Each child will be asked to bring in their own sugarless gum or mints. Students are welcome to bring this in anytime this week. One pack is enough for your child to last through the five mornings of testing. If you have extra you are willing to share, it would be appreciated. We are thankful for your help and support! Posted in Uncategorized	| Comments Off on Donations Requested! For scheduling purposes, our PSSA dates are listed below. A note asking for donations for PSSA snacks was sent out. Third grade was asked to provide Goldfish (individually wrapped) for grades 3-6. Any donations would be greatly appreciated! To help alleviate the stress of PSSA testing, students will be allowed to have sugarless gum. We are asking for donations of sugarless gum. Peppermint is a great flavor. Feel free to send this in anytime this week. We are thankful for your help and support. Please also don’t forget to send in your encouraging PSSA notes, as we have only received a handful. These mean so much to your children and their faces light up each day when they see your note on their desk! An informational envelope with note cards, was sent home Friday, March 29. Thank you. March reading calendars are due on Monday! Please take a few minutes over the weekend to total your child’s minutes (this really helps us out) and sign your child’s reading calendar. Thanks! A note asking for donations for PSSA snacks was sent out. Third grade was asked to provide Goldfish (individually wrapped) for grades 3-6 for the PSSA’s. Any donations would be greatly appreciated! *Spring Book Fair – April 8 – 12. Check your child’s planner for their shopping day! It is finally starting to look and feel like spring! Yay!!! March reading calendars are due on Friday. Please take a few minutes Thursday night to total and sign your child’s reading calendar. Thanks! A note asking for donations for PSSA snacks was sent out. Third grade was asked to provide Goldfish for grades 3-6 for the PSSA’s. Any donations would be greatly appreciated! Friday, March 29: School is in session! Spelling lesson 22 test and packet due, CLASH day, totaled March reading calendars due! We are quickly wrapping up the 3rd marking period. It seems this year is going so fast! The end of the marking period is on Tuesday, 3/26. Please remember that math chapter 12 test corrections are due tomorrow – Monday, March 18th. This week we will also be testing our current science unit-Energy. Check your child’s planner for the test date (Mrs. Collins’ class has their test Monday). We are rapidly going through disinfectant wipes and tissues! If you are able to donate some to your child’s classroom, it would be very appreciated! *March 29 – This is a snow make-up day, we are IN school today! Monday begins our CM Sweet 16 Book Tourney for March Gladness. The Tournament ends on March 29 when 2 books CLASH in the Championship Final. 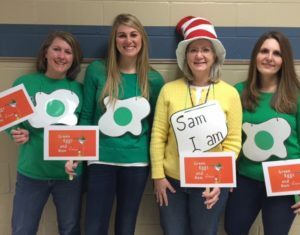 A “Clash Day”, wearing odd-matching clothing is a fun optional activity to celebrate the winning book. Music Mondays also help bring March Gladness. Be on the lookout for more March Gladness activities. With the snow days we have had, the end of the third marking period is now pushed back to March 26! March 29 – We ARE in school today! Can we all say goodbye to February with me!!! I’m not sure about you, but February always seems like the longest month with the craziest weather…so I am glad to see it come to an end! Please take the time on Thursday night to sign and total your child’s reading calendar. We will celebrate minutes read during lunch on Friday! Friday, March 1: Day C – Spelling Test 18, packet due, signed and totaled reading calendars due today! Early dismissal today at 1:30.